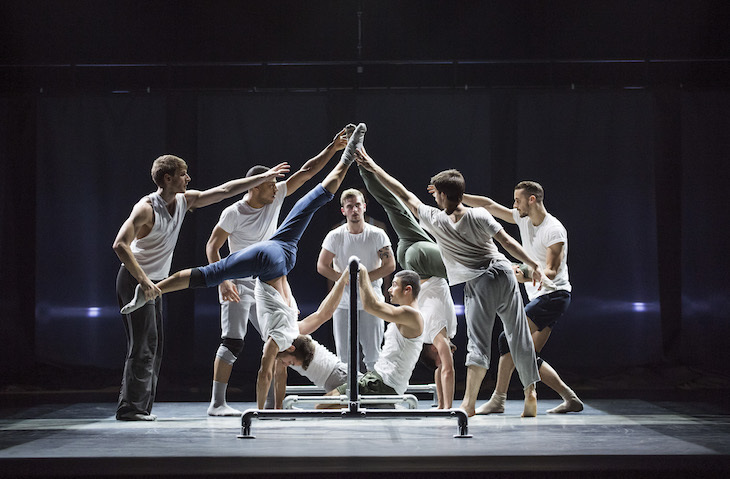 All-men dance ensemble BalletBoyz are back at Sadler's Wells with a whole new contemporary piece about life, following their acclaimed war-themed show Young Men last October. Is this comeback up to the show from last year? The simple answer is no. And yes. Structured as two independent performances focusing on two halves of the same subject, Life explores the contrast between life and death, black and white, yin and yang. 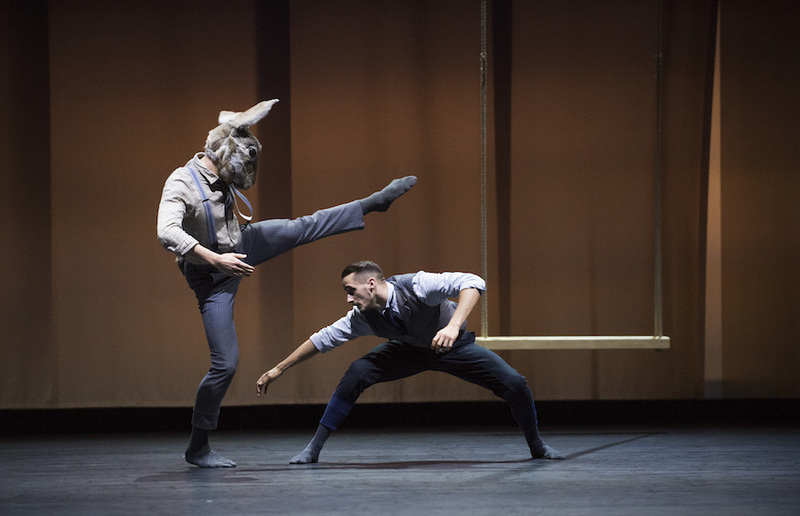 The two pieces are ideated and directed by two top choreographers — 'Rabbit' is by Pontus Lidberg and 'Fiction' by Javier de Frutos — both completely different in terms of approach, style and set design. Lidberg's section sees the dancers wearing rabbit masks in a lonely, moonlit set where they try to express the struggle of a young man to become part of the society he lives in. His outsider status is expressed through beautifully coordinated pas de deux as well as group choreographies. Unfortunately the piece is rendered flat by the slow, motionless music. The second half, directed by the Venezuelan maestro, feels much more lively — it definitely challenges the concept of traditional ballet. The stage is turned into a rehearsal space where dancers move nervously in their tracksuits — they have just found out that their choreographer, de Frutos, has been killed while staging a show. This tragicomic piece is much more fast-paced and the lively music combines perfectly with the energetic choreographies, making the audience laugh while a background voice reads out lout de Fruto's epitaph. Both pieces are a very personal take on contemporary ballet from their directors, but we it's the second half of the show that's really worth seeing. BalletBoyz - Life. is on until 24 April at Sadler's Wells, Rosebery Avenue, EC1R. Tickets are £12-£38 and can be booked in advance online. Londonist saw this show on a complimentary press ticket.